Leah is a totally starstruck fairy, whose special job is to make sure that any trip to the theatre ends in a truly spectacular performance. But Jack Frost’s pesky goblins have stolen Leah’s magic star, and now chaos has broken out at the auditions for the Tippington Variety Show! Kirsty and Rachel must find the star – before the auditions are ruined for everyone! I loved this book because it told you how talented you really are inside whoever you are. My favourite part was when rachel and kirsty met Leah I really liked this book. 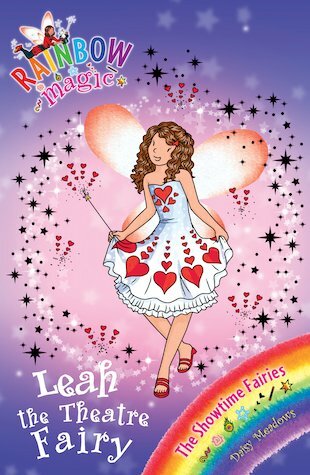 Ithink it is a great book so everybody that likes Rainbow Magic read this book bye everyone. ;) Really Good!